In 2009, Amachi expanded to include all at-risk youth and developed an effective intermediary model that served more than 17,000 youth, created more than 200 jobs, formed more than 1,000 partnerships, and created 38 statewide coalitions throughout the three-year project. 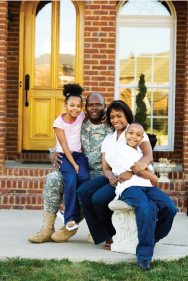 The Amachi Expansion for Military and Civilian Familes (AEMCF) program was created in 2011 to serve youth from military families. Amachi Inc., in partnership with Dare Mighty Things, is working with the following mentoring organizations to carry out this work: Big Brothers Big Sisters of Greater Rochester (New York), Big Brothers Big Sisters Lone Star (Texas), Philadelphia Leadership Foundation (Pennsylvania), Pima Prevention Partnership (Arizona), and Urban Ventures (Minnesota).